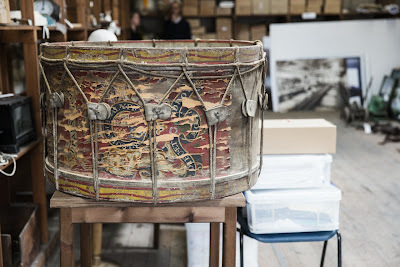 This is the drum of the old John Smedley silver band, which sits in the newly opened Smedley archives and is the focus on my favourite anecdote from the factory’s history. Smedley was known around the region for its silver band – different to a brass band, at least in the early days, in that it could afford silver-plated instruments as well as lacquered, or brass. In 1912, Smedley workers went out on strike in support of the nationwide coal miners strike – which began in Derbyshire, not far from the Smedley factory. 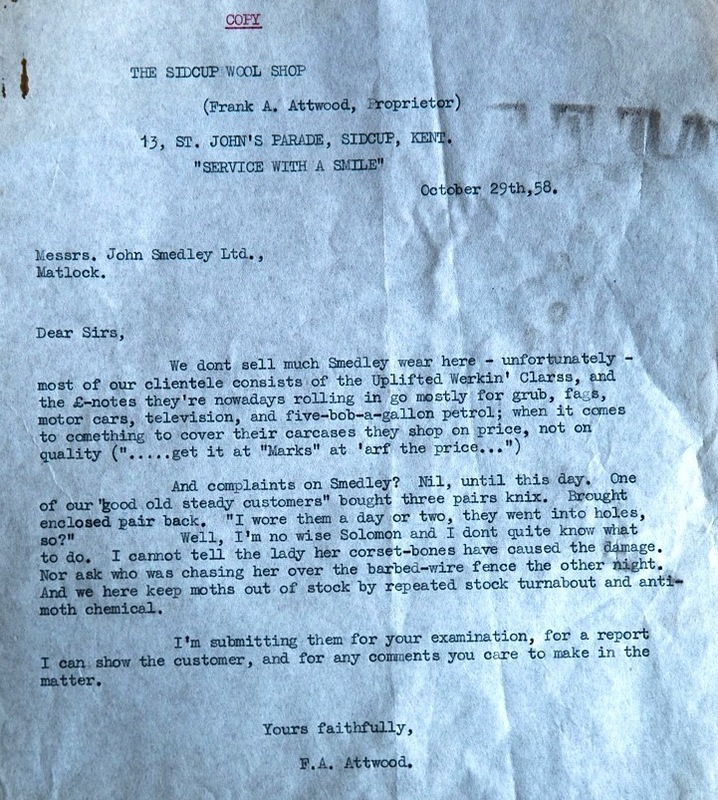 The silver band played in support of the strikers, and as a result John Smedley (the son of the founder, and now the owner) took away its funding. When John Smedley demanded the band’s drum back, the drummer threw it up into the rafters of the building, declaring “if he wants it he can bloody well get it himself”. 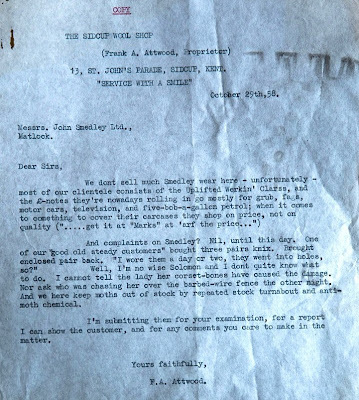 It remained there, in plain view, for over 100 years – until it was taken down at Easter this year to be included in the archives. 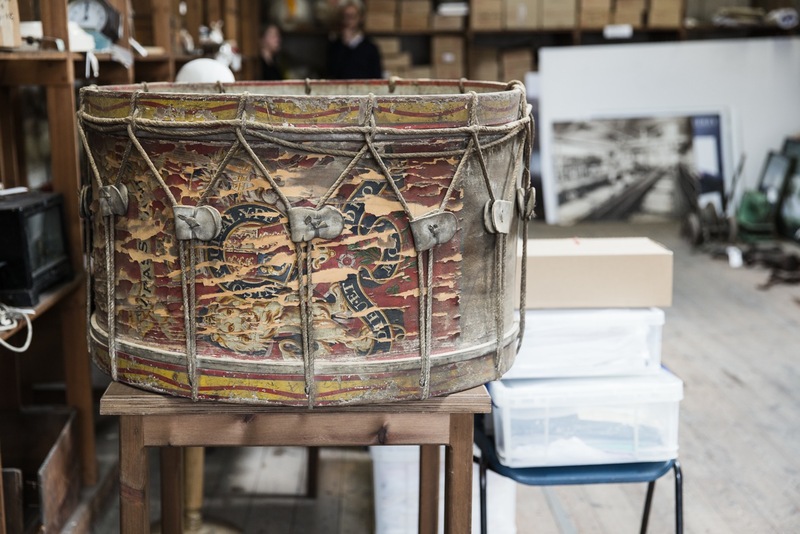 You can follow the discussion on The John Smedley drum by entering your email address in the box below. You will then receive an email every time a new comment is added. These will also contain a link to a page where you can stop the alerts, and remove all of your related data from the site. That letter is priceless! I wonder how they replied. Excellent, excellent, well done Mr Attwood ! He must be remarkably well preserved if he’s still in charge after 101 years. Now, as in the current time of the story.